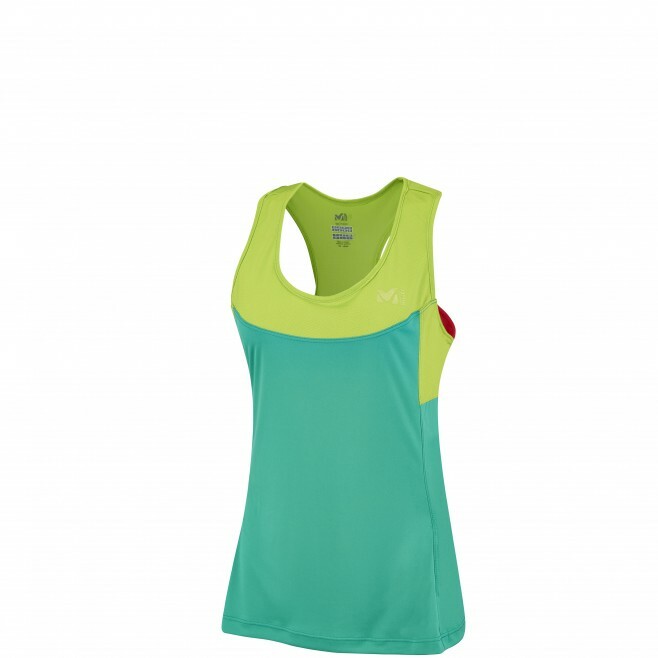 For high summer and trail running, this women's hybrid technical top, the LD LTK INTENSE TANK, is worn next to the skin for optimized wicking and a modern feminine style on the move. The extremely light main polyester fabric, POLARTEC SILKWEIGHT SOLID, is totally smooth to give exceptional next-to-skin comfort. It meets the need for high in-action breathability. The back is an original honeycomb knit - lighter and airier - to maximize air circulation and keep the body dry during alpine performance. And the racer back, flatlock seams plus female sport ergonomics help you kick on fast. In use, appreciable touches are the POLYGIENE treatment to inhibit bacteria build-up, the LOW IMPACT label for eco-friendly design, and hi-vis markings to keep you safely seen in poor light.